Mar. 25, 2012 10:00 a.m.
Elizabeth May, MP for Saanich-Gulf Islands and Leader of the Green Party, hoped to spark interest in the anniversary of the Exxon Valdez oil spill with a picturesque press conference Friday morning. On March 24, 23 years ago, the Exxon Valdez, an oil tanker bound for Long Beach, Calif., struck the Bligh Reef in Prince William Sound and spilled 260,000 to 750,000 barrels of crude oil into the Gulf of Alaska. 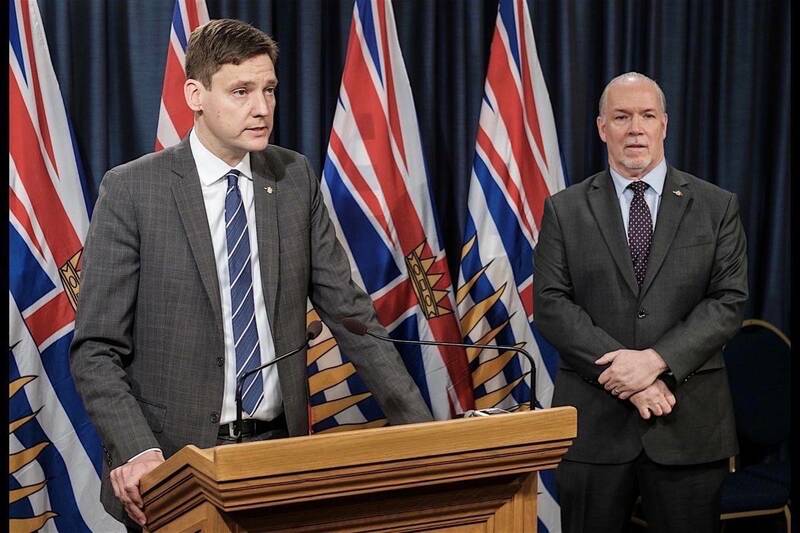 May focused on the spill as a key symbol of why the supertanker moratorium on the B.C. coast must be maintained and strengthened. The Raincoast Conservation Foundation were on hand for the event and agree that the risk is too high to have tanker traffic in the Salish Sea. “The Salish Sea is already suffering intense pressures from growth. Chronic oiling and spills will only intensify the declining health of this ecologically fragile region. Further, the tanker route overlays critical habitat for our endangered souther resident killer whales. The Exxon Valdez oil spill fatally impacted two populations of Alaskan killer whales,” said Misty MacDuffee, a Raincoast biologist. Water and oil do not mix, May said, and the moratorium needs to be legislated. “Even before the Exxon Valdez oil spill the people of British Columbia, the people of Canada took the step of having an oil tanker ban put in place in 1972 and it’s protected the British Columbia coastline ever since that time,” she said. “So on this sombre occasion, the 23rd anniversary of the disastrous spill of the Exxon Valdez, we can stand in solidarity with all of those pioneers who have protected our coastline since 1972. The Gulf Islands route is also risky from a vessel traffic perspective, according to Brian Falconer, Raincoast marine operations co-ordinator.